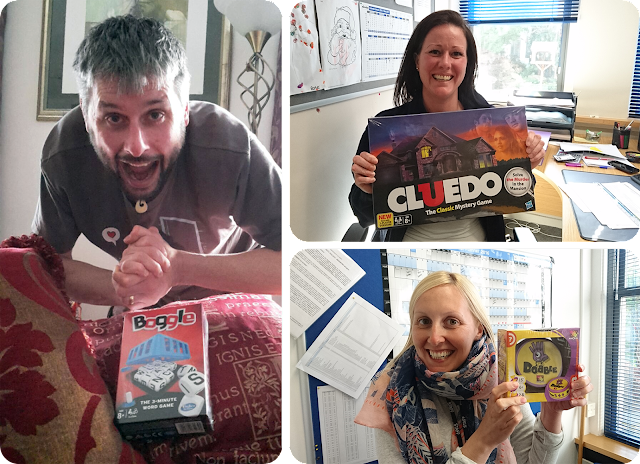 This Friday was the NSPCC's Big Board Game Day event, where they asked everyone to play games at work, home or school and donate money to support their important work looking after vulnerable children in the UK and Channel Islands. As I wasn't going to be at work on the big day, I settled on running two lunch-time events on the Monday and Tuesday before BBGD instead. A straightforward deal - I bring the games, snacks and chairs, everyone else brings themselves! Snacks - the key to any good game event! I say 'events', but these were more like small gatherings, with a few of my work colleagues popping in over the two days to see what was going on and join in if they were feeling brave. 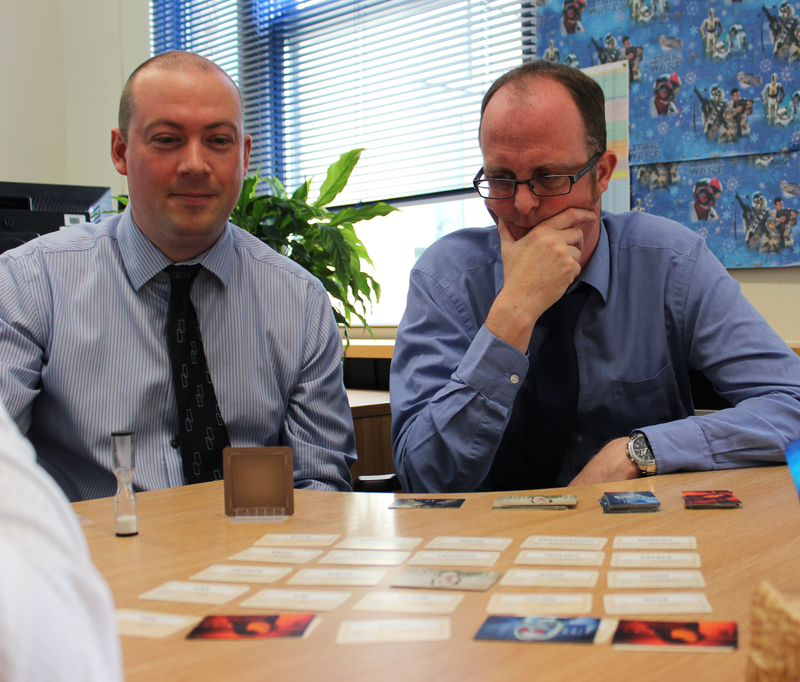 Dobble also came to the table, but the complete star of the show this week was Codenames. This went down really well, with a few of my co-workers planning their own Codenames purchases in the near future. 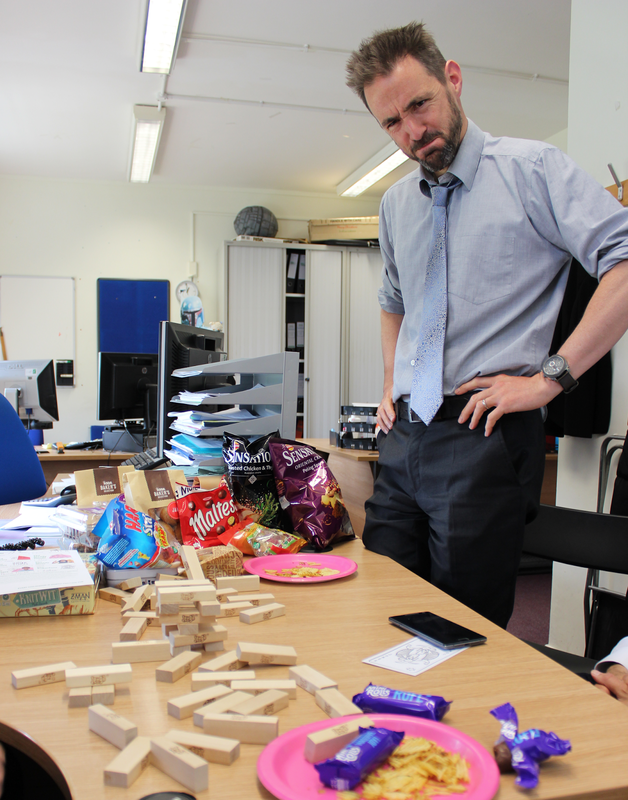 It was so popular, in fact, that it was the only thing we played all lunchtime on the second day! I'm so glad they liked it! It was nice to try it out with a bigger group, too, having only played it with four players before. The NSPCC provided a handy sweepstake competition in their fundraising pack, which everyone kindly signed up to. I also ran a raffle to win some lovely board game prizes, donated by Hasbro and Esdevium Games. 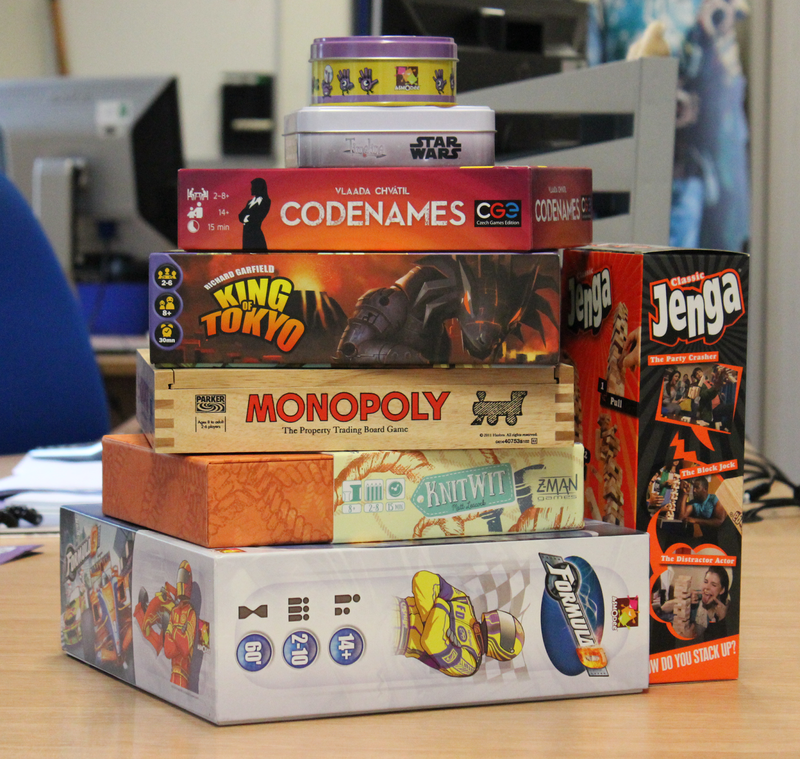 If you'd like to find out more about Big Board Game Day, take a look at the NSPCC website for more information!